This week Charlie shares some thoughts on how organisations should react if they are caught up, blamed, or implicated in causing a major incident. 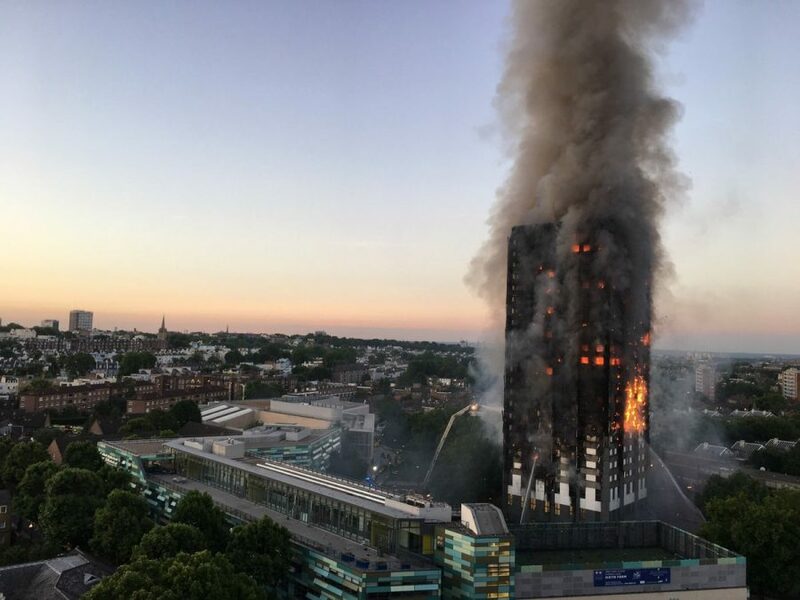 The full tragedy of the Grenfell Tower fire is slowly unfolding and I am sure all readers of the bulletin join me in sending our thoughts and prayers to those who have been affected by the tragedy. I am sure there will be lots of lessons learned from this disaster and these will be revealed over the coming days, weeks and months. Let’s all try to learn from them and apply them to our own circumstances where possible, ensuring that good can come out of something quite horrific. When disasters occur such as this one, I have suggested in previous bulletins to look at the websites of the organisations involved to see how they react to the incident. Two of the companies mentioned in the Grenfell Fire are the companies who were contracted to refurbish the building. These are Roydon Construction who were responsible for refurbishing the building and Harley Facades who actually put up the cladding on the building. Both of them had reference to the disaster on their websites. Roydon Construction are very prominent on the landing page of their website, while Harley Facades have their comment tucked away in the news section. Both websites commented that their thoughts are with those affected by the fire and the work that they undertook and completed, complied with all appropriated regulations. If it was your organisation implicated, or mentioned in an incident in a similar way, what actions should you take? Your senior managers should always be alert to an incident which your organisation could be implicated in. To be able to do this, you need to keep good records and ensure that they are easily accessible so you can check on your involvement. It should be noted that the incident could occur years after you actually carried out the work. As soon as there is a possibility that you could have been involved, you should very quickly check your records of the job. Were the right materials used, were procedures and regulations followed, who signed off the work, who did the work and what checks were made after the job had been completed? You should be searching for every single aspect where you are vulnerable to criticism. Did you sack the person who did the work 6 months later for poor workmanship, was the job never properly signed off or have all the records been lost? If you identify any areas where you are vulnerable, you should carry out a risk assessment of the worst case if this information gets out, and how your organisation may be portrayed. It is important to develop these as soon as possible. In our era of social media, skeletons do not stay in the closet for long and someone will leak a bad news story. Once you have your risk assessment of the worst case, you need to decide on your media strategy for the incident. One strategy could be to keep the company’s ‘head down’, make no reference to the incident or your part in it, and hope that the other parties involved are more high profile and you can get away with staying quiet. You can also go with the strategy of having all your communication written and website ready to go but only put out the information if implicated or mentioned. Another option is if you suspect that your role will be revealed, especially if you find that you have done something wrong, you can admit your responsibility proactively to the press. Apologise and hope that as you have been honest and that you are truly sorry, the impact will be lessened. There is no easy formula to follow, gut instinct, emotional intelligence and experience can all help in your positioning and adopting an appropriate tone. In adopting the right tone, you need to check whether the other information on your website, adverts, or sales campaigns are appropriate. A news item on what fun your company had at their Christmas party may sit very uneasily against an apology for your part in the deaths of several members of the public. Have a look at the Royal Borough of Kensington and Chelsea website. I don’t think they have got this message. Check also that if any radio, social media or TV adverts are scheduled that they are appropriate under the circumstances. On the Daily Mail website, they had an article on the owner of Roydon Construction in his £3m house and had a picture of his wife stroking a tiger. They were making the point of contrasting his lavish lifestyle compared with those who used to live in Grenfell tower. The papers always love to find a villain for everyone to hate. If you are a MD or CEO of a company you might want to very quickly close down or tightly restrict access to any pictures of your lifestyle or wealth, especially on social media, which if published in the papers would cause you embarrassment. Have you made your address difficult to find or is your company registered at your home? Park the Porsche in the garage rather than leaving it on the drive. You may also want to decide how you are going to deal with reporters camped outside your door or ringing your doorbell. You need to think about your staff. Are they at risk if they are travelling or working in the local area with your company signs announcing the work or in branded vans or company clothing? You must keep your staff up to date with the latest information on the incident and any security precautions they personally should take. Lastly, you have to decide whether, because of the incident, your brand has become toxic and that you may have to close it down or change it.